PROVIDENCE, R.I. (Legal Newsline) - Lawsuits filed over so-called “pay-for-delay” deals, similar to those filed by the City of Providence in recent years, are becoming more commonplace, says one antitrust law expert. Spencer Waller, professor at Loyola University Chicago’s School of Law and faculty director of the Institute for Consumer Antitrust Studies, said in an interview with Legal Newsline that the number of class action lawsuits over such deals -- in which brand-name drug makers pay their generic competitors to keep cheaper alternatives off the market -- have increased. Waller, who worked for the U.S. Department of Justice in its antitrust division and practiced at the Chicago law firm of Freeborn & Peters LLP before becoming a law professor, pointed to the U.S. Supreme Court’s ruling in FTC v. Actavis Inc. in 2013. In Actavis, the nation’s highest court held that pay-for-delay agreements between brand and generic drug companies are subject to antitrust scrutiny. The court’s decision stemmed from the Federal Trade Commission’s appeal of a ruling by the U.S. Court of Appeals for the Eleventh Circuit, which had dismissed the agency’s challenge to an alleged pay-for-delay agreement involving the testosterone-replacement drug AndroGel. Several courts, including the Eleventh Circuit, have found that these agreements were insulated from antitrust scrutiny. However, in July 2012, the Third Circuit held that a reverse payment from a branded drug manufacturer to a generic competitor was presumptively unlawful, creating a split in the circuits and prompting Supreme Court review. Successful plaintiffs in such class actions, he noted, automatically get triple damages plus attorneys’ fees and costs. “It is a pot of gold at the end of the rainbow,” Waller said. Since 2012, the City of Providence has teamed up with private law firms -- most notably, prominent plaintiffs firm Motley Rice -- to file more than a dozen antitrust lawsuits in federal court. The cases allege companies are “scheming” to keep generic versions of their prescription drugs off the market. In such pay-for-deal deals -- sometimes referred to as reverse payment patent settlements -- a patent holder agrees to make a payment to a potential competitor who has threatened to enter the market and challenge the patent holder’s right to the patent, thereby delaying the point at which the competitor enters the market. The payment moves in the opposite direction of what is expected under patent law. Typically, a potential infringer pays the patent holder for the right to enter the market. Critics of the settlements argue they are anti-competitive and are not in the public’s interest, and often result in higher prices for consumers. Providence contends likewise, arguing that by blocking generic competition through such pay-for-delay deals, the companies have forced it and its insurers to overpay for medications. “In general, the larger the payment from the branded company to the generic company, the more problematic it is,” he noted. But Waller said Providence’s decision not to seek class action status in all of its cases -- some were filed individually by the city -- is somewhat unusual. Most recently, in June, Providence filed a lawsuit against Cephalon Inc., Barr Pharmaceuticals Inc., Mylan Laboratories Inc. and Mylan Pharmaceuticals Inc., Ranbaxy Laboratories Ltd. and Ranbaxy Pharmaceuticals Inc., and Teva Pharmaceuticals Industries Ltd. and Teva Pharmaceuticals USA Inc.
Teva acquired Barr in 2008 and Cephalon in 2011. The city alleges in its 41-page complaint, filed in the U.S. District Court for the District of Rhode Island, that the defendants -- Cephalon, in particular -- schemed to “unlawfully delay” generic competition in the market for the prescription drug Provigil. Provigil is a drug used to treat wakefulness disorders such as narcolepsy, shift work sleep disorder, and excessive daytime sleepiness associated with obstructive sleep apnea. The active pharmaceutical ingredient in Provigil is modafinil. “The scheme included misrepresentations to the U.S. Patent and Trademark Office, sham patent infringement litigation, and reverse settlement payments in that litigation by Cephalon to makers of generic modafinil (defendants Barr, Mylan, Ranbaxy and Teva, collectively ‘Generic Defendants’), as further described herein, in return for keeping generic modafinil off the market from June 1, 2006-Sept. 30, 2013,” Motley Rice attorney Vincent L. Greene IV wrote in the city’s complaint. Last month, the law firm was named to Law360’s Most Feared Plaintiffs Law Firms list. Providence contends that as a result of the “scheme,” Cephalon illegally maintained monopoly power in the market for modafinil in the U.S. from 2006 to 2011 or 2012, and sold more than $4 billion in Provigil during that time; maintained the price of modafinil at “supra-competitive” levels; and overcharged the city hundreds of thousands of dollars by “depriving it of the benefits of unrestricted competition” and access to less expensive generic versions. “As a result of defendants’ unlawful conduct, plaintiff paid higher prices for modafinil when substantially lower prices would have been available but for defendants’ unlawful conduct,” the city’s complaint states. Providence argues that generic competition would have enabled it to purchase generic versions of brand-name drugs at substantially lower prices and purchase the brand-name drug at reduced prices. 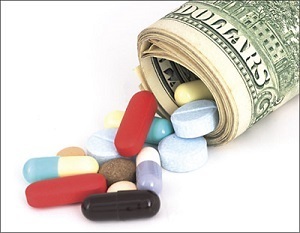 “However, until generic manufacturers enter the market with an AB-rated generic, there is no bioequivalent generic drug that competes with the brand-name drug and, therefore, the brand-name manufacturer can continue to charge supra-competitive prices profitably,” Greene wrote in the city’s complaint. In an Aug. 17 stipulation, Barr, Cephalon and Teva asked the federal court for an extension of time to answer or respond to Providence’s complaint. Judge Mary M. Lisi, who has been assigned to the case, said in an Aug. 18 order that the defendants’ answers -- including Mylan and Ranbaxy’s -- are due this week. The antitrust case and others like it were filed through Providence’s Solicitor’s Office. The solicitor -- Jeffrey Dana was selected by Providence Mayor Jorge Elorza to take over for Jeffrey Padwa, who took a job as deputy treasurer and legal counsel with Rhode Island Treasurer Seth Magaziner earlier this year -- provides advice and opinions on matters of municipal concern, drafts leases, bonds, contracts, ordinances and rules and regulations and approves them as to form and correctness, and is frequently called upon to interpret the city’s Home Rule Charter, federal and state statutes, and other laws that govern Providence. Dana was recommended for the job by Matthew Jerzyk, who began work as deputy solicitor in 2012 and was listed as counsel for the office on some of the city’s antitrust lawsuits, and Robert J. McConnell, an attorney at Motley Rice and brother to Jack McConnell, a former Motley Rice attorney and now a federal judge in Rhode Island. Jerzyk worked as a law clerk at Motley Rice while in law school. His three-year tenure with the Solicitor’s Office coincided with the rise of antitrust cases, and he also served as senior counsel to the mayor for 18 months before becoming deputy city solicitor. McConnell said he first met Dana more than a decade ago when Dana worked for Rhode Island Legal Services. The two began working together on issues involving childhood lead poisoning. Motley Rice represented the state of Rhode Island in a public nuisance lawsuit against the former makers of lead paint. Jack McConnell was confirmed to his federal judgeship -- he had to recuse himself from one of the antitrust cases -- in May 2011. At the time, he was embroiled in a lawsuit filed against Motley Rice by Sherwin-Williams over an alleged theft of documents. The alleged theft stemmed from the now-judge’s involvement in the lead paint lawsuit. The firm’s Rhode Island office represented several states and municipalities in the lead paint litigation, which alleged paint companies had created a public nuisance by manufacturing lead paint before its federal ban in 1978. Public nuisance claims have no statute of limitations, like product liability claims do. Most of the lawsuits were unsuccessful, though the companies are facing a $1.1 billion verdict in California that has been appealed. In 1999, Sheldon Whitehouse, the Rhode Island attorney general at the time, hired Jack McConnell and Motley Rice to file a lawsuit against the former makers of lead paint in 1999. The state Supreme Court unanimously struck down a verdict for the plaintiffs in 2008. Dana served on the board of directors of the Childhood Lead Action Project at the time. Want to get notified whenever we write about State of Rhode Island ? Sign-up Next time we write about State of Rhode Island, we'll email you a link to the story. You may edit your settings or unsubscribe at any time.